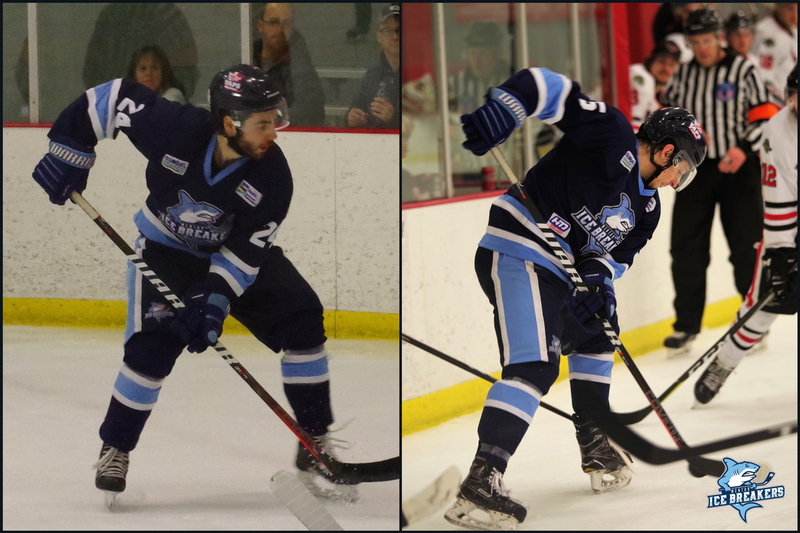 Joe Ftoma and Alex Morrow are two members of the Ice Breakers who have been with the club since tryout camp. Ftoma is a 26-year-old out of Winnipeg, Manitoba who bounced around several junior leagues from 2010-11 before spending three seasons with the Kirkland Lake Gold Miners in the NOJHL. In 2013, Ftoma began a four-year collegiate career at Morrisville State College before beginning his pro career last season with Malungs IF in Sweden's Division 2. 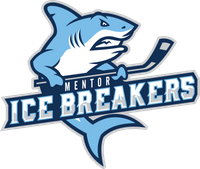 Over 40 appearances with the Ice Breakers, the 5-foot-11, 180-pound defenseman has a 2-15-17 scoring line. He was briefly called up to the Evansville Thunderbolts of the SPHL earlier this season, appearing in four games. Morrow, 25, is from Westerville, Ohio. He played college hockey at Otterbein University in 2016 before making his way to the Ice Breakers this season. Morrow, who stands at 5-foot-10 while weighing in at 185 pounds, has been a fixture in the Mentor lineup with 48 appearances on the campaign. He has scored four goals while dishing out 14 assists for a total of 18 points in his first pro season. Joe Ftoma: The two things that made my decision easy were having a coach that played in the NHL with good experience and Mentor being a good location. Alex Morrow: My college didn’t have hockey so me and my buddy, who I played with when I was younger, created a team. 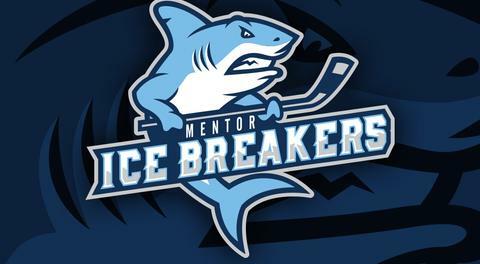 We had some success as a start-up program and some of my teammates said I should try to go pro, so I looked for tryouts and ended up here in Mentor. JF: The team has had its ups and downs, but it’s on the way up, and that’s exciting. We have the talent and the personalities in the locker room to have success moving forward. AM: It’s been awesome to see the team grow over the season. We got some new faces in the room and really came together as a team. Q: Joe, did you learn anything during your stint with the Evansville Thunderbolts in the SPHL earlier this season? JF: I’ve learned a lot this year. My time in Evansville taught me how to be a better pro and take it day by day. Q: Alex, what’s it like playing for Coach Duncan? AM: It’s nice playing for a coach that has a lot of experience in the hockey world. He tries to get the most out of your game day in and day out. JF: Here, Mentor has been great so far. AM: My favorite stop would have to be here. Players never forget their first year playing pro hockey. JF: I like playing here. Mentor is a great place to live with lots to do. Being so close to Cleveland is a bonus too. AM: The city of Mentor has been great to us, from the fan support to everyone at the rink that make it easier for us to focus on hockey. It’s a great place to have a team and I’m happy to be a part of it. Q: Joe, how did your time at Morrisville State prepare you for life as a pro hockey player? JF: I think you mature a lot playing college hockey. You learn to balance a busy class schedule while playing. JF: I do my best to help the team win. AM: I would say my game is geared more towards playmaking and taking the body. JF: Pregame skate, meal, and a nap. AM: I wouldn’t say I have too much of a game day routine. I try to keep it loose, listen to some music, and hang out with the boys. Always have to have a fresh tape job for games, so you have to throw that in the routine. JF: Hockey, baseball, and golf. AM: I’m a big movie guy, nothing like going to the movies with a bucket of popcorn. AM: My favorite food would probably have to be Chinese. AM: I listen to a wide variety of music, but mostly county and rap/hip-hop. JF: I like to cook. AM: I played baseball in college. JF: Spending time on the outdoor rink growing up, there’s too many good memories to pick just one. AM: I don’t think I can just pick one hockey memory. When you have played this game for a while, you have a lot of favorite memories.